 Industrial Clutch Parts Ltd. offers a complete range of WPT Power Take-off Clutches. Available in mechanical, hydraulic, or pneumatic actuation. WPT PTO Clutches are available directly from stock to ensure prompt delivery and reduced lead times. WPT Type 2 PTO Clutch is available in hydraulic or pneumatic actuation methods. Specially designed for engine driven applications such as irrigation, fire control, high-pressure spray as well as road planers, wood chippers and utility construction equipment. Industrial Clutch Parts Ltd. supply a complete range of WPT Type 2 PTO Clutches. Available directly from stock for fast delivery. The Type 2 PTO Clutch is offered in pneumatic and hydraulic actuation methods. Designed to provide maximum capacity in a small package, theType 2 is an outstanding PTO for a variety of applications. WPT Type 2 PTO is an innovative, high capacity power take-off clutch. A versatile design, dry clutch, and top-of-the-line spherical roller bearings, the Type 2 PTO has been field-proven in many sideload applications. The Type 2 PTO Clutch is a direct replacement for Twin Disc and Rockford PTO's. It has the potential for remote engagement and is a maintenance-free self-adjusting clutch. ICP provides laminated gear tooth friction discs as standard or to be sold separately on 14" and 18" models.